On January 15, 1908, Alpha Kappa Alpha Sorority became the first Greek-lettered organization established in the United States by and for Black women. Her roots date back to Howard University, Washington, DC, where the idea of formation was conceived by Ethel Hedgeman Lyle of St. Louis, Missouri. She viewed the Sorority as an instrument for enriching the social and intellectual aspects of college life by providing mental stimulation through interaction with friends and associates. Through the years, however, the function of Alpha Kappa Alpha has become more complex. After her incorporation as a perpetual body on January 29, 1913, Alpha Kappa Alpha gradually branched out and became the channel through which selected college-trained women improved the social and economic conditions in their city, state, nation and the world. Today, that tradition has continued–internationally, nationally and locally. 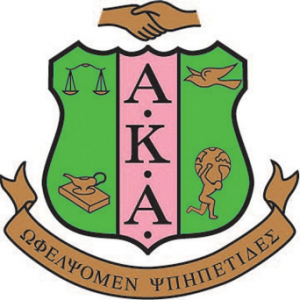 Alpha Kappa Alpha cultivates and encourages high scholastic and ethical standards; promotes unity and friendship among college women; alleviates problems concerning girls and women; maintains a progressive interest in college life; and serves all mankind through a nucleus of more than 200,000 women in over 860 chapters. The Theta Sigma Chapter of Alpha Kappa Alpha Sorority, Incorporated was charted on April 14, 1974. Its charter members were: Cheryl Clark, Kathy Elmore, Janice Green, Janet Horne, Wanda Jackson, Sammuetta Primus, Gayle Seller, Deborah Sommerville, Sharon Sykes, Deborah Taylor, Linda Tyson, and Gloria White. Theta Sigma also takes great pride in our sorority house, which is the only black greek-lettered sorority on Sorority Row at the University of Alabama. Our house is located at 911 Magnolia Drive in Tuscaloosa, Alabama. For more information, visit the AKA website.